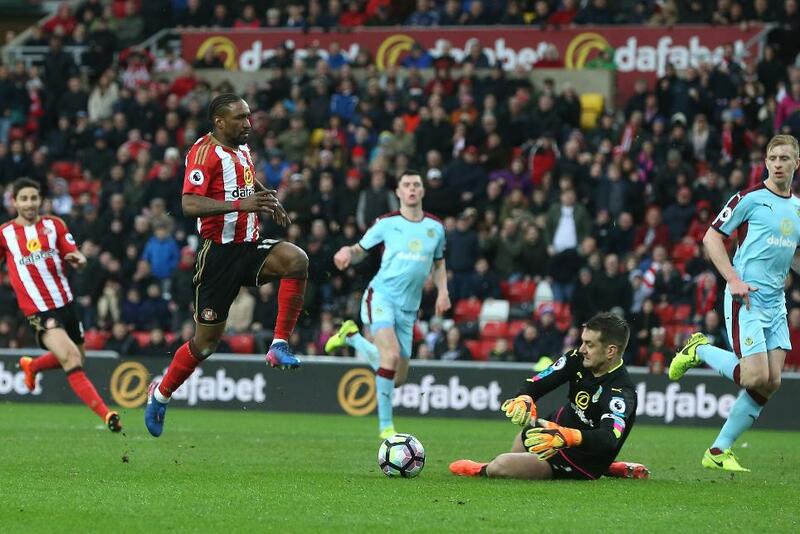 The 0-0 stalemate between Sunderland and Burnley meant both goalkeepers claimed three Fantasy Premier League bonus points. Burnley skipper Tom Heaton (£5.1m) earned his first clean sheet since Gameweek 23, shutting out the home side with five saves and nine recoveries to score 31 in the Bonus Points System (BPS). Sunderland's Jordan Pickford (£4.1m) shared that total after making three saves and 21 recoveries. Two players were also tied on 29 in the BPS, picking up a single bonus point apiece. Centre-back Ben Mee (£4.7m) completed 14 clearances, blocks and interceptions (CBI) and made six recoveries to preserve the Clarets' clean sheet. John O'Shea (£4.4m) contributed 21 CBI to Sunderland's cause, more than any other player in Gameweek 29. Burnley's Scott Arfield (£5.2m) topped the ICT Index on 9.4, recording the highest Threat score of the match (47), and his best of the campaign. Deployed on the left flank, Arfield fired in four shots on goal, with two arriving from inside the Sunderland penalty area. However, none of his efforts found the target. Fabio Borini (£5.1m) ranked second in the Index as Sunderland's dangerman in Saturday's contest. He hit the target with all three of his shots on goal, two from inside the box, to record his best Threat score of the season (45). In contrast, Jermain Defoe (£7.8m) was shackled by the Burnley defence and failed to muster a single shot on goal. He recorded just 6.0 for Threat, scoring lower than 10 for the third time in his last four Gameweeks. Those statistics go some way to explaining why Defoe has now failed to return goals in six of his last seven Gameweeks. That has led to a continued FPL exodus, with the striker ranked sixth for sales ahead of Gameweek 30, having shed another 11,000+ owners so far. Defoe's ownership is set to drop below the million mark for the first time since Gameweek 20 after the international break is over. While the striker's decline continues, both Heaton and Pickford demonstrated what they can offer during the season's run-in. Burnley's Heaton has made 111 saves for the season, returning 26 points, together with 21 bonus points - 12 more than any other FPL stopper. By comparison, Pickford has recorded 87 saves but has made stops more frequently, registering a save every 19 minutes compared with Heaton's 21 minutes. The Black Cats goalkeeper has produced 23 points from saves over his 19 starts. Following Saturday's exploits, the pair are the top two transfer targets among FPL goalkeepers ahead of Gameweek 30. Of the two, Pickford appears to have the more favourable schedule. He will travel to Watford and Leicester City next, before hosting Manchester United, West Ham United and AFC Bournemouth in successive home matches. Sunderland are also due to play 10 matches over the remaining nine Gameweeks, with postponed fixtures with Arsenal and Middlesbrough yet to be rescheduled.